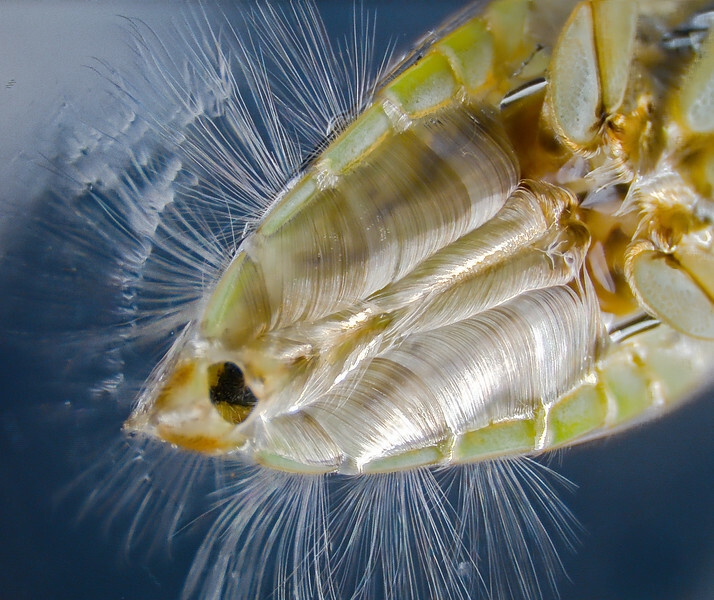 Ventral abdominal view of a female backswimmer showing long lateral hairs that rest on the water's surface tension (upper left) and keep the insect above the water. While outside the water, air enters the spaces between the densly-packed hairs on the abdomen. This provides oxygen for the backswimmer to remain underwater while searching for prey.